We’re ready to start 2015 with a BANG! as we count down the days to our first show for this year at one of our fav live music venues, “Lucky 13 Garage” 8 Cochranes Rd, Moorabbin on Sat 24th Jan 2015. We may be Rockin’ it with some American Music, but there’s nothing more Australian than having a drink at a local bar with your friends of a Saturday night, while listening to live music. 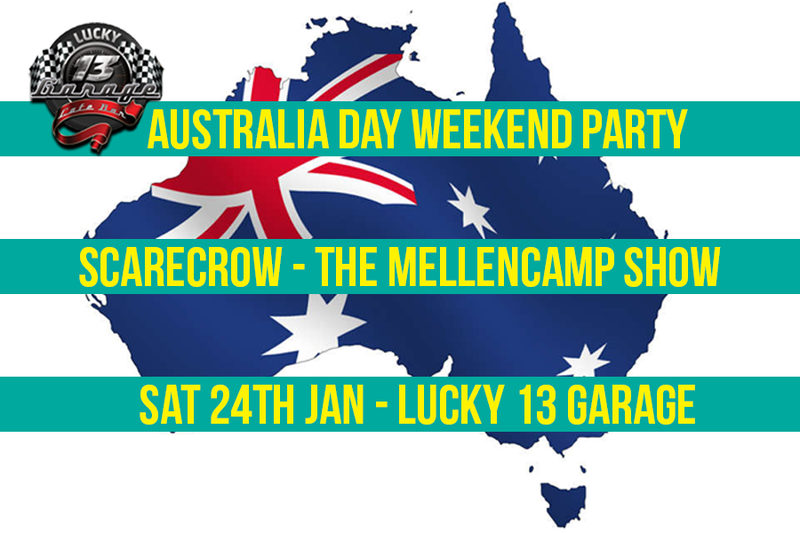 What better way to kick off the Australia Day weekend, than singing along to your favourite Mellencamp tunes, with Scarecrow. We have the perfect party mix, with sensational drink prices at a fantastic live music venue. So grab your mates, slip on your dancin’ shoes & head on down to Lucky 13 Garage & make this a night to remember!